If this Brexit reconciliation speech had a soundtrack it would be Al Greene singing, "Let's Stay Together". Because that was the overarching tone of this speech by the Foreign Secretary, Boris Johnson, at the Policy Exchange in London. So his purpose was obvious right from the start. He clearly knew the answer to, why give a speech? So his title, "A United Kingdom" proved clear to everyone. And what a start it was, as his introduction told an anecdote about a constituent's feelings towards Brexit. You always notice both pace and tempo with a Boris speech. And so, this reconciliation speech proves the point. His pace was generally slow and measured. But then, at times, faster and slightly manic. And it's this changeability that marks out the Foreign Secretary as a speaker. We also spotted his language. Why? Well, it's because there's no immediate sign that a Whitehall mandarin has written this speech. It's wordy and verbose enough to be his own effort. Or, that of the Environment Secretary, for that matter. But, on the subject of language, it's fresh and honest. and we will continue ever more intensively to go on cheapo flights to stag parties in ancient cities, meet interesting people, fall in love, struggle amiably to learn the European languages whose decline has been a paradoxical feature of EU membership. It’s not some great V-sign from the cliffs of Dover. That is why it is so vital not to treat Brexit as a plague of boils or a murrain on our cattle, but as an opportunity, and above all as an economic opportunity. Yes, this speech keeps you on your toes. And, to that extent it's the mark of a good speaker. He doesn't want you to become bored! And, you won't. Boris built structure into his speech with the "three anxieties" felt by Remainers. So he introduced these in his opening session before he then used them to section each component of his speech. A classic 3-part list, and it worked very simply. And of course, because it was Boris, he had other rhetorical devices for his audience. A firm favourite is the rhetorical question. But is this the time for the referendum winners to gloat? Should we sit in silent self-satisfaction? Of course not. But, on this occasion, Boris went further. Probably because he was among friends, he fashioned some audience participation into his questions. And he actively sought feedback from his audience. Dean, you want to make Britain less insular, don't you? And, of course, there was only one answer to that question. We also heard the politicians favourite. The not this, but that clause. That is why people voted Leave – not because they were hostile to European culture and civilisation, but because they wanted to take back control. That is why it is so vital not to treat Brexit as a plague of boils or a murrain on our cattle, but as an opportunity, and above all as an economic opportunity. These are always a favourite, not least because they work and they are simple to prepare. Of course all these favourites stand in some contrast to the negotiation s in a Theresa May speech on Brexit. 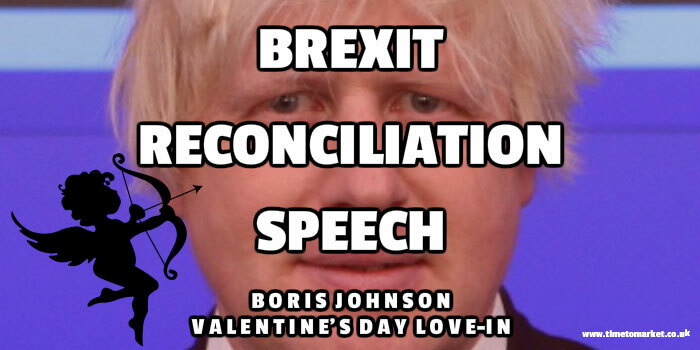 But, beyond the rhetoric it was obvious that Boris had some fun with his reconciliation speech. Because there was clear mischief and some mayhem in his phrases. That is pretty much what the British people already do. We have a bigger diaspora than any other rich nation – 6 million points of light scattered across an intermittently darkening globe. There are more British people living in Australia than in the whole of the EU, and more in the US and Canada. As I have just discovered we have more than a million who go to Thailand every year, where according to our superb consular services they get up to the most eye-popping things. So, this proved a romp of a speech and it was obvious that Boris enjoyed the whole thing. Yes, he read his speech from a script, intermittently turning pages as he went. But he also missed a few words from the published speech and he transposed other words into a different order. And, no doubt to the horror of his aides, he also added bits here and there. Bits that are definitely not in his published speech. Yes, he had some fun. This isn't a Winston Churchill speech, V-signs aside, But it's good, solid competent stuff. And, unlike Winston Churchill, he had to field questions. So, his sense of fun also came through in his question and answer session. Because this also proved highly skillful, not least in how he closed off the questions after time. Good to watch. 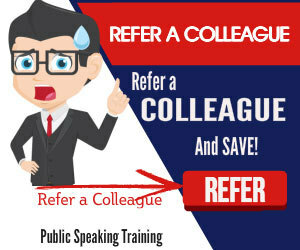 You can always discover plenty of public speaking tips and techniques with our regular series of tips and hints. 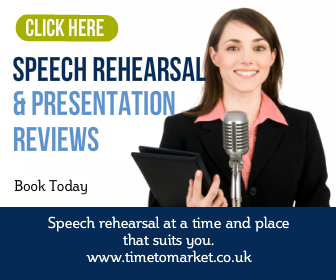 And, when you want to really boost your public speaking skills, please don't hesitate to get in touch to discuss training and coaching.